Abstract: Airwheel electric 2-wheel scooter is an excellent tool for commuting, as well as a healthy exercising equipment. Riding an Airwheel scooter, you are extricated from traffic jam and get physical exercise in the meantime. It’s like killing two birds with one stone. Traffic jam happens quite often in the cities. Urban dwellers have suffered a lot. If you are lucky enough, it might take you only around 10 minutes to get rid of a traffic jam. Instead, you will have to spend tens of minutes or hours stuck in the traffic coming to a standstill. In this case, a new transport vehicle which solves the problem catches our attention. It is Airwheel electric unicycle Q5, a super-efficient commuting vehicle. For urban residents, Q5 is the best choice to be free of traffic congestion. How Airwheel unicycle Q5 excels in being a commuting vehicle? How can it bring you special riding experience instead of walking? Next, I will elaborate on the specialty of Airwheel Unicycle Q5. As a one-wheeled commuting vehicle, Airwheel Q5 has the most advanced self-balancing system. Its design follows strictly the homeostasis theory, and therefore enhances the balance quality by technology and design. The device also enjoys high stability. Airwheel unicycle Q5 is powered by original SONY battery. The battery lasts quite long and can be recharged for many times. The SONY battery life is several times longer than an ordinary one. As we all know, better storage of capacity of the battery indicates longer riding miles. 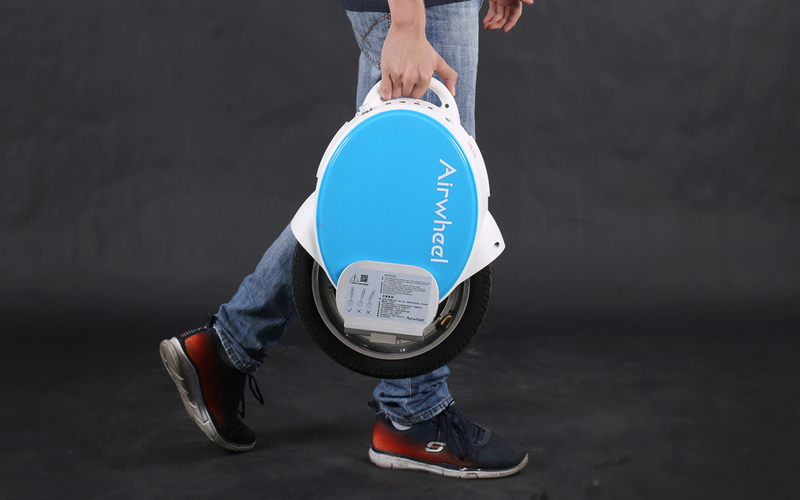 Airwheel electric unicycle is a light and portable commuting vehicle. You can use it as either a transport tool or a fitness tool. 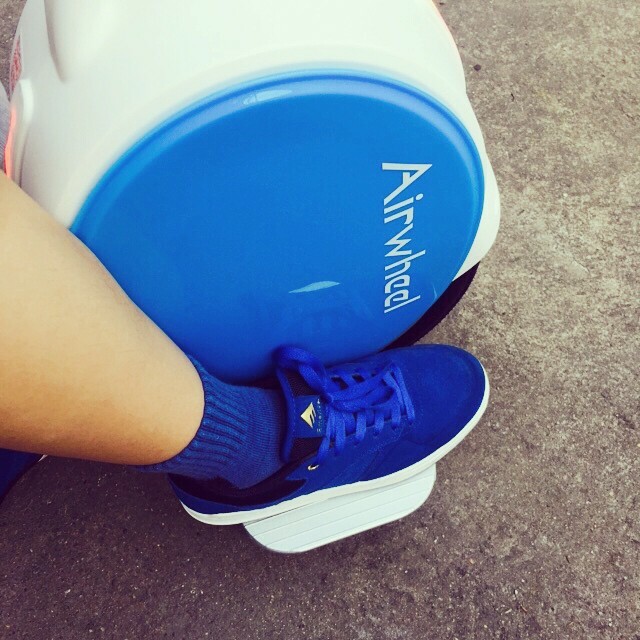 Many students are now following the vogue of riding Airwheel 2-wheeled electric scooter Q5 for fun and convenience. High-technological and intelligent vehicle as Airwheel Q5 is, it integrates commuting into exercising both body and mind. If a rider keeps riding Airwheel Q5, his cerebellum will be exercised. His balancing ability and neural response will also be improved. Young people can ride it as a way of getting around while the aged can ride it to invigorate their health. As for kids, riding Q5 will help to promote brain development. Choosing Airwheel unicycle Q5, it will bring you an extraordinary experience.